At Frontiers of Travel we will regularly be posting in depth and informative travel articles and blogs. We hope these will provide advice and inspiration for trips to the frontiers of adventure travel. If you would be interested in having your travel writing appear on Frontiers of Travel, please email us with details of your article. 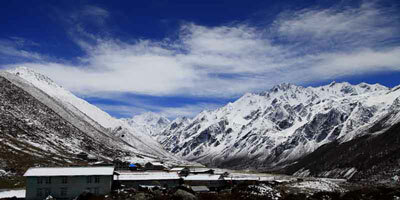 25th February, 2014 - From TrekBooking.com, a new trekking portal to find the best treks and companies in Nepal, an overview of the best five treks in the world's premier trekking destination. 13th December, 2013 - The world's highest waterfalls, the iconic Angel Falls, lie deep in the heart of Venezuela's remote Gran Sabana, which can only be reached by air and a three day river canoe trip. 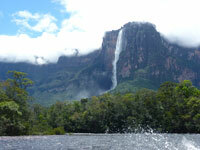 And around the stunning mountain Auyantepui from which it falls lie other natural wonders no less spectacular. 20th November, 2013 - The Lost World in Venezuela is one of the most ancient, unique and spectacular landscapes on earth. Reaching its highest point, the iconic table mountain Roraima, requires a strenuous trek, but one rewarded by stunning vistas and the chance to explore its primordial and otherworldly summit. 24th September, 2013 - In the third of a series of articles profiling start-up, specialist adventure travel companies in conjunction with Black Frog Publishing's Spotlight series, we profile Overlanding West Africa who travel on trailblazing routes in this fascinating region. 31st August, 2013 - In the second of a series of articles profiling start-up, specialist adventure travel companies in conjunction with Black Frog Publishing's Spotlight series, we look at Untamed Borders who travel to some of the remotest and least visited regions on earth. 18th July, 2013 - In the first of a series of articles profiling start-up, specialist adventure travel companies in conjunction with Black Frog Publishing's Spotlight series, we look at overlanders Infinite Adventures who travel to Alaska in a remodelled school bus. 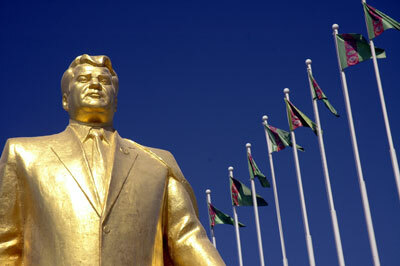 3rd July, 2013 - Exploring the historical Silk Road, Kat Hart encounters staggering opulence in Turkmenistan's eerie and almost empty hyper-modern cities, before exploring the remains of ancient civilisations and sleeping by the world's biggest campfire. Y Dale! Y Dale! Y Dale BOCA Dale! 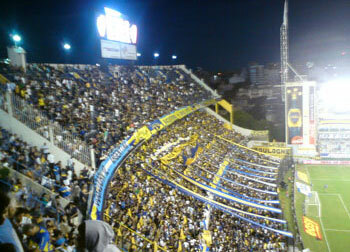 22nd June, 2013 - Nowehere is the passion, colour and excitement of South Americans' love for football more evident that at La Bombonera, home to Boca Juniors in Buenos Aires, an essential experience for anyone with a love of both football and travel. 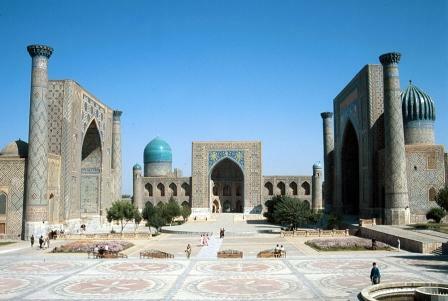 4th June, 2013 - Kat Hart travels on the fabled road to the evocative Silk Road city of Samarkand on a Wild Frontiers trip through Central Asia. The warmth and hospitality of the Uzbek people become as memorable as the astonishing sights of Samarkand's Registan Square. 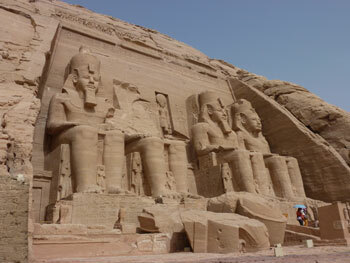 23rd May, 2013 - Egypt has been attracting travellers for centuries, drawn to the historical wonders from one of the world's oldest and greatest civilisations. Recent unrest has dramtically reduced tourist numbers, so there's never been a better time for travellers to explore this fascinating country. 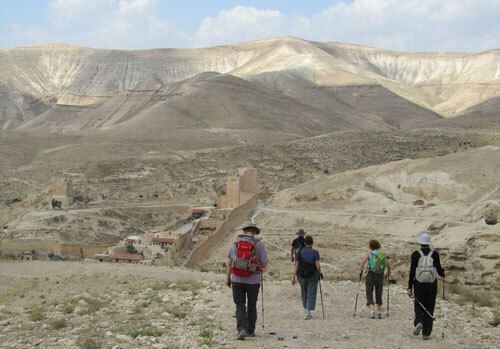 7th May, 2013 - Alan Curr encounters warm welcomes, beautiful landscapes and surprising diversity on a new Wild Frontiers walking trip in the historic land of Palestine - staying in the homes of locals, meeting fascinating people and discovering the region's complexity. 7th Mar, 2013 - In a country off the radar of most adventure travellers, we found two utterly captivating and completely different highlights - the hugely popular and fascinating old city of Jerusalem and the stunning and dramatic landscapes of the Negev Desert. 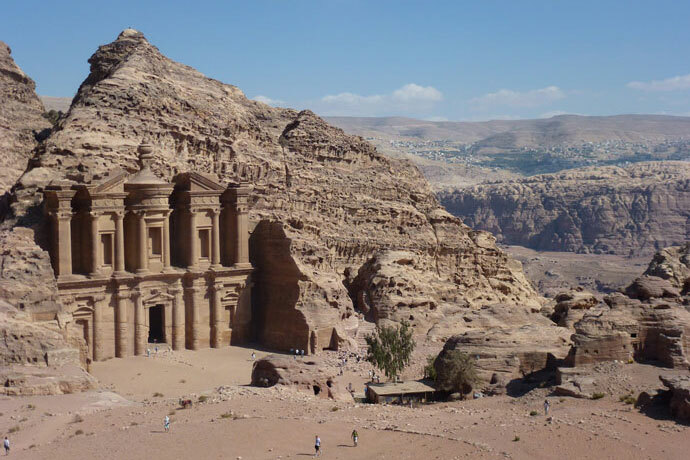 23rd Nov, 2012 - A new Wonders of the World, Petra is one of the world's great historical sites. Now 200 years since its rediscovery by Europeans, it remains one of the great adventure travel destinations. Read our guide to exploring this must-see historical site. 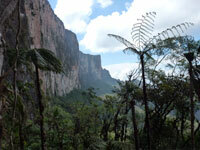 12th Dec, 2012 - Away from Mexico's crowded beach resorts and Mayan ruins lies the spectacular Copper Canyon. 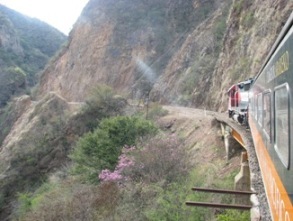 The railway which skirts it, El Chepe, is one of the world's great train journeys. Two journeys, one direct and one stopping, describe the exploration of this remarkable region. 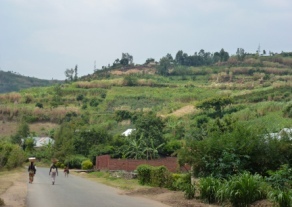 27th May, 2012 - Rwanda is synonymous with the genocide that devastated the country in 1994 and for adventure travellers as the best location for tracking mountain gorillas. But there is much more to this small but stunning central African country, which has made remarkable progress in recent years. 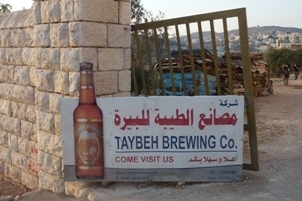 3rd Nov, 2012 - Travel surprises and the Taybeh Brewery near Ramallah in the Palestinian West Bank is certainly an unexpected destination. The West Bank's only brewery produces perhaps the finest beer in the region and is always welcoming to visitors. 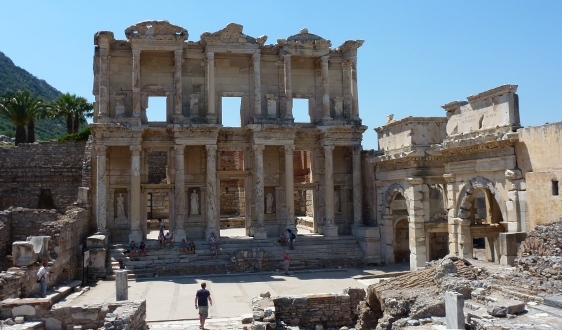 19th Aug, 2012 - One of the world's greatest Roman sites, Ephesus is a must-see for history lovers, renowned for its spectacular Library of Celsus and Great Theatre. 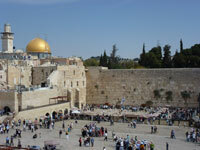 Our guide will enable you to get the most from your visit and avoid the worst of the tourist mobs.